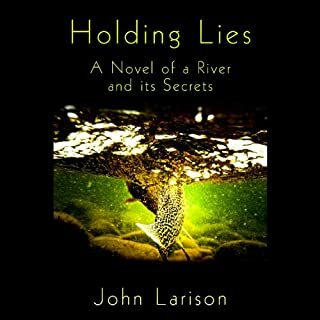 With Holding Lies, John Larison takes us deep into a thriving subculture of the Northwest, one born of the ferns and firs, rain and hot-springs, firebombs and whitewater. 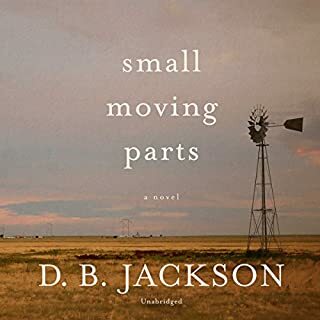 He takes us even deeper into the troubles of Hank Hazelton, a 59-year-old river guide, as he struggles to reconnect with his only daughter after a 14-year estrangement. His failure as a father haunts him, along with other deep regrets, tragedies, and longings. In the days before his daughter's arrival, Hank discovers a drift boat stranded below a rapid, empty except for a long smear of blood on its seat. 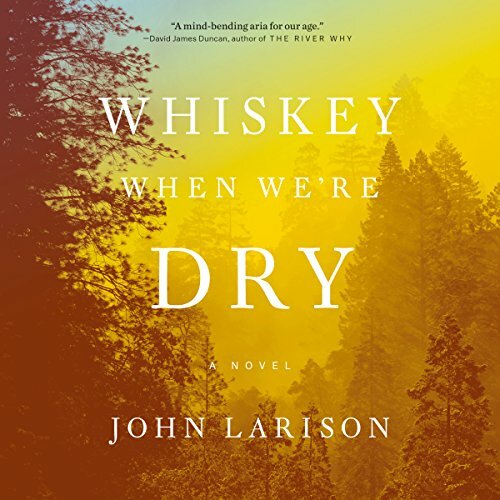 Told in Jess' wholly original and unforgettable voice, Whiskey When We're Dry is a stunning achievement, an epic as expansive as America itself - and a reckoning with the myths that are entwined with our history. 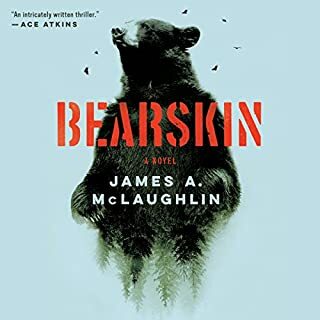 I rarely leave reviews, but this was an excellent pairing of story and narrator, and I really enjoyed it. I’ve been under a lot of stress lately and the last few books I started didn’t really hold my interest, which is unusual for me, so I’m really glad to have found this one. 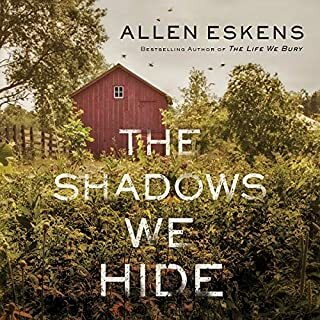 The story was engaging and the the narrator’s voice was perfect, with no mechanical pauses or voices that didn’t fit to pull me out of the story. Was exquisite. 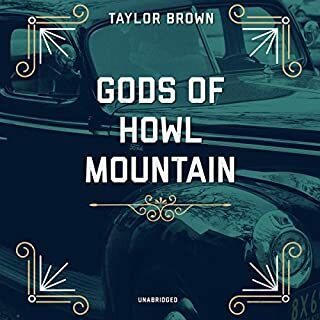 There are many audiobooks that I will not purchase based on the way one narrates...I was excited by this story and SO pleased with the narrator’s incredible articulation and richness in story telling. I will look for more books narrated by her in the future. The performance by Sophie Amoss brought this beautifully written novel to life. A book that will always stay with me. Seldom are skilled prose and a truly moving story blended so into such a captivating paced narrative. The author makes you root for the villain even in one if the most brutal scenes I have ever read. Don’t miss this one. And the reading in audio version is perfectly toned. I adored this book. The plot is amazing, moving and filled with interesting and complex characters. The main character, a woman sharp shooter, disguised as a man to find her outlaw brother, is one of my favorite books of the year. Long book with lots of unnecessary description, predictable, but good for listening while doing chores. Great! But be prepared for things to get rocky! This is a great book. I was sure it was going to be so to the last moment... it just was a bit excessive at the end. That being said I’m sure that if I’d read the book it wouldn’t have hit me like it did. Still a great book. Maybe not the best to listen while going to sleep at night...during the last 2 hrs. A tale of ranchers opportunists and outlaws in the American old west. Lots of whiskey drinkin’, tabacky chawin’, spitten’ and gunplay going on here. The narrator Jesselyn Harney is one tough broad. She decides men get more respect so she disguises as a man. But its her folksy language and keen observations of human nature that make this book interesting. The narrator Sophie Amos voices Jesselyn with a perfect western twang. An lot of action along with gritty violence. Loved it.